BeWooden believes that everybody can be a designer. We want to integrate you into our production process and give you the opportunity to let your imagination run wild. 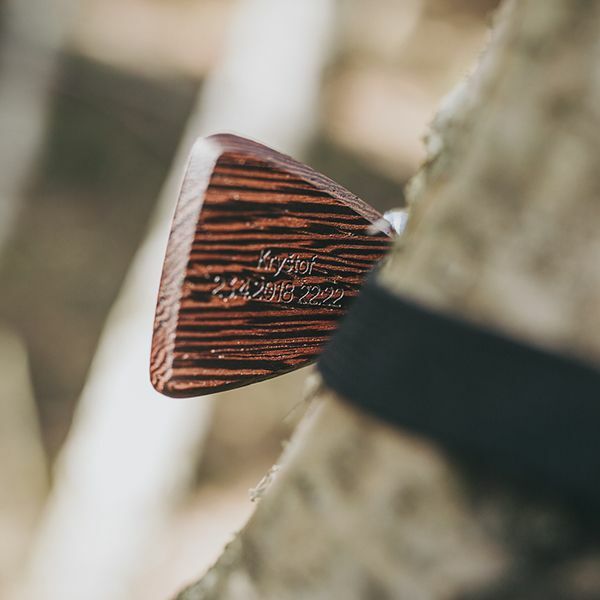 With our configurator, you can even create your limited edition of wooden bow ties. 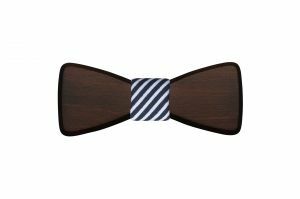 With just a few clicks, you can choose from which wood and fabric your dream bow tie should be made. The available materials are varied every few months, so you can be sure that no one else has a comparable bow tie. You have the opportunity to create your own products but also to provide them with a very personal message. An engraving can say more than a thousand words and thus make your gift even more individual. Engraving is very nice, especially on light wood it looks wonderful. But which products can you engrave now? In our online shop, you will find the option "Add monogram" in the product view of the individual accessories. Once this option is displayed, you can also assume that this product can be engraved. If you choose this option, you can enter your desired text and we will add your individual message to the product. Please note that due to their size, some accessories allow you to engrave only a certain number of characters. For example, the number of cufflinks is limited to 5 characters. In general, large areas mean plenty of room for ideas. Here you can let off steam. But even on small accessories, your imagination knows no bounds. 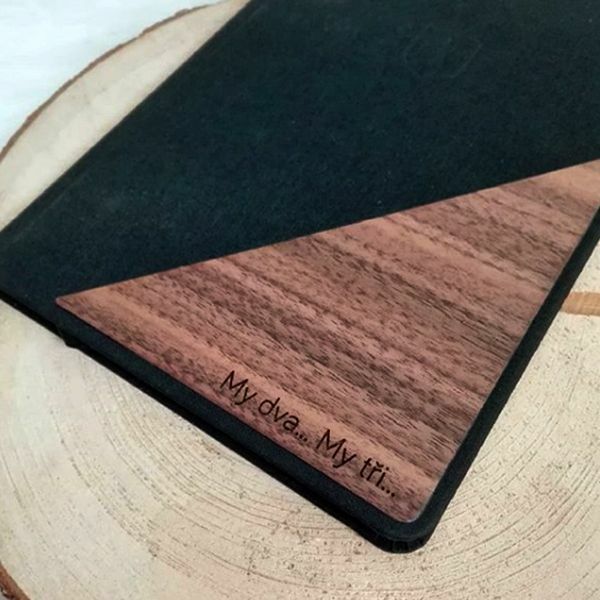 Particularly popular is an engraving on the back of our wooden bow ties, the leather cover of the pocket mirror or on a wallet. There are countless ways to express your love, gratitude or friendship through an engraved message. A popular quote, a line from a poem, a special date or the coordinates of an important place, are just a few ways to do so. Even a seemingly simple monogram, like your initials, can say a lot. The engraving of initials, dates or a simple heart is especially popular. These are small engravings, which already say a lot. We also like to engrave single words or short spells again and again. For example, on a bracelet for your sweetheart, the saying "love-forever" would look great. On the back of a wooden bow tie, you could engrave the name of your favourite song or a verse of a poem. Also, your life motto, such as the saying "Stay Classy", is always a good choice. Should it be a gift for your loved one, you can also immortalize a romantic message in his new wooden bow tie. The leather cover of the mirror is the ideal place for a personal message. Since this accessory is used every day, the person is reminded again and again of your message. For Christmas, you can engrave excerpts from a song like "All I Want for Christmas Is You". But witty sayings, such as "Good morning, sunshine", "You look beautiful today" or "Less is more" make on a pocket mirror very well. Also, a nice message on a wallet will make someone laugh. Here you can engrave, for example, the coordinates of a special place or a monogram, so you can also make it clear who this wallet belongs to! 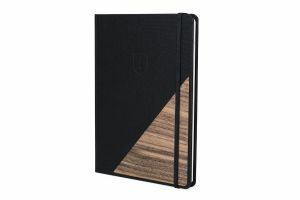 The notebook can serve as motivation for creating, writing or working. "Start writing your future today", "Dream big", "Stop making excuses". These are just a few examples of sayings that fit perfectly with a notebook. – "…your dreams and secrets"
We are happy to be there for you and help you with words and deeds, please do not hesitate and contact us at any time. We will do everything possible to make your chosen product and engraving exactly what you would like it to be. Are you still looking for a suitable Christmas present in which you can immortalise your messages? Check out our Christmas tips, HERE is certainly something suitable here.